Watsons Bay is a well known fishing village in Sydney, Australia, and is a major tourist destination. The beaches here are extremely popular with travelers to Sydney. More than just a mere tourist destination, Watsons bay has associations related to the history of the country. There were a number of events and aspects related to Watsons Bay. To cite an example, the world famous explorer Arthur Philip had come ashore here, with his fleet in the year seventeen eighty eight, at South Head, only short distance from Camp Cove. 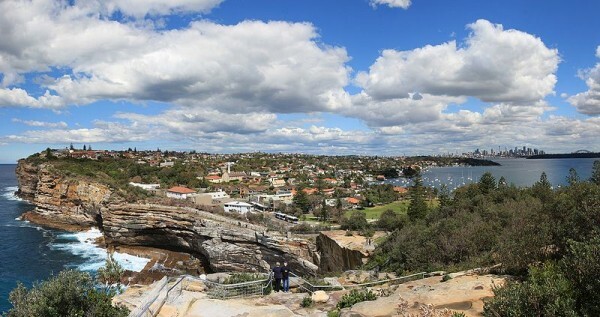 At Watsons Bay, South head is a much visited resort location. The Watsons Bay can be reached here from Circular Quay via ferry. The Doyle’s restaurant located here is extremely famous, and is a major gourmet location that is popular with both tourists and locals. The Macquarie Lighthouse here was designed by Francis Greenway, who was a convict, and built in the year eighteen eighteen. The lighthouse is famous all over Australia. The scenery here is picture perfect in its beauty, and it is perfect for taking long walks in the beach. There is another attraction as well that is in the vicinity of Watsons Bay, the oldest museum in Australia, which has a huge number of relics, documents as well as art work. The H M A S Watson Naval Chapel is another point of interest. The beaches here are pristine paradises, with crystal clear waters and snow white sand beaches. The coastal cliffs at the Sydney Harbor are also worthy destination, as is the National Park here. There are a whole number of excellent resorts and hotels here that have sprung up so as to meet the increasing tourist demand for quality accommodation. There is a good number of quality staying options, hotels, resorts, guest houses, villas, motels, hostels and other options. There are a whole number of excellent options on offer that cater to all budgets, tastes and needs. Travelers can enjoy the delicious fare at the Doyle’s Restaurant in the evenings, after a nice long day of exploring, and the Fish and Chips center at the wharf has some heavenly snacks on offer.